No sooner had I returned from the twentieth anniversary commemorations of the Rwandan genocide in Kigali than I saw Howard French's assault on the man universally credited with stopping the mass killings, President Paul Kagame. I would have welcomed discussing French's allegations against Kagame directly but could not find him among the hundreds of international dignitaries and heads of State who set aside time in their busy schedules to pay their respects by traveling across the world to honor the dead. In his Wall Street Journal op-ed ("How Rwanda's Paul Kagame Exploits U.S. Guilt", 19 April 2014) French re-roasts old chestnuts against the Rwandan leader bringing us an unoriginal rehash of all the Monday-morning quarterbacks convinced they could have done a much better job of bringing Rwanda back from the brink after the fastest mass murder in history, claiming the lives of 10,000 people each day, 400 per hour, and 7 each minute. The genocide of the Tutsi in Rwanda was not tribal violence. Less so was it a civil war. Rather, it was an orchestrated project by extremists in power who were motivated by a deeply racist ideology. The Hutu may have been willing instruments of the genocide but they were tools in the hands of a Rwandan government who wished to see all complicit so that none could be tried. I am mystified by French's efforts to obscure these truths and, as Jew who has watched the growing trend of holocaust denial, I am even more troubled. When I was in Kigali I told President Kagame that if he was not careful in ten years time the world would say there was no genocide but merely ethnic strife. He responded, "Ten years? It's happening already today." As outrageous as it would be to describe the Armenian, Cambodian, Jewish, or Bosnian genocides as occurring without agency, the Rwandan genocide is no different. There were good guys and really, really evil guys. Kagame is the acknowledged hero of the plot. French contends that American guilt over its inaction to stop the genocide causes our government today to overlook alleged crimes of the Kagame government. That may be so, although you would be hard-pressed to make the case that the Obama Administration refuses to, say, call for an international indictment against Bashar Al-Assad for gassing children because the United States still feels guilty that it did not stop his father from crushing 30,000 people to death in Hama. Might it not occur to French that the reason the United States is very friendly toward Rwanda - amid the substantive disagreements and criticisms that occur between any two nations - is because they are amazed that in a continent marked by war, starvation, and corruption Rwanda has the fastest growing economy, the highest immunization rates, a celebrated war on corruption and, as any visitor can witness, is a model for racial harmony and integration? While traveling through Rwanda I was amazed to see the entire country shut down at 2pm each day during the annual genocide remembrance week, to sit outdoors in groups of a few hundred to talk through ethnic differences and foster reconciliation so that such violence never repeats itself. I have never seen anything of its kind, not even in Israel or the United States. French is a downer, a profound cynic and pessimist whose prejudices against Kagame would deny him even this astonishing achievement. In a world filled with mass murderers like Bashar Assad and Kim Jong Un, who continues to starve his people to death, French eviscerates any pretension to objectivity when he says, quoting a Belgian scholar, that Kagame is "probably the worst war criminal in office today." But any objective observer of the country, who drives through the pristine and immaculate roads of Rwanda, will conclude that Kagame has exceeded any expectation the world would have had for a country who in 1994 had so many bodies in its rivers that the waters actually ceased to flow. That is not to say the President is perfect. He most assuredly is not, words that I said to him in his presence and in front of 20,000 people in my nationally-televised address at the Rwanda 20th Commemoration. It is to say that before we hurl accusations against a man who witnessed the world's abandonment of his people to machetes and axes, we ought to be somewhat understanding of his aggressive security policies that ensure his people are never subject to extermination again. As Yogi Berra famously said, "Just because you're paranoid doesn't mean they're not out to get you." Writers like French find it easy to condemn countries like Rwanda or Israel for taking the fight to their enemies rather than continuing to be sitting ducks. Would French really advise Kagame to leave the murderers who perpetrated the genocide right on his border in Congo? Would he tell Kagame to rely on international assurances and the United Nations to protect his people, the same UN that categorically refused to allow its commander, General Romeo Dallaire, to disarm the Hutu militias and who evacuated most of its peace-keepers just as soon as the genocide began. I claim no expertise in the ongoing travails of Congo. But French loses all credibility when he lays all the country' suffering at Rwanda's door. Every lay person knows that Congo, well before Rwanda's incursion, was ruled by a ruthless dictator named Mobutu Sese Seko. We know this because he bankrolled the Muhammad Ali-George Foreman "Rumble in the Jungle" at a time when Congo was formerly known as Zaire. Mobuto was a violent autocrat who ran a kleptocracy, amassing vast personal wealth, and was seen as an archetypal African dictator. After the Tutsi genocide, the main body of perpetrators fled to, and were granted, sanctuary, in Congo. Surely even the biggest critic would cut Kagame some slack when they imagine some two million Rwandan refugees still camped across the border under the command and control of the former genocidal government. Congo's government openly collaborated with the FDLR and other remnants of the forces responsible for the genocide. These forces are on the U.S. terror list and are held responsible by many for the epidemic of sexual assault in eastern Congo. But French has nothing negative to say about them. Most venomous of all is French's assertion that Rwanda's incursions into Congo was the result of "Rwanda's pursuit of coldblooded ethnic revenge." Such unsubstantiated conjecture would turn the tables and make the man who stopped the genocide, Paul Kagame, into the only true génocidaire and reminds me of former Pink Floyd front man Roger Water's claim that Israel is now the Nazis. French wishes his readers to believe that the current Rwandan government is just as guilty of "genocide" as its predecessor, making victims into villains. This unfortunate moral equivalence is something of which we Jews have learned all too well as Israel is regularly and falsely accused of being an apartheid state, even as it affords its 1.5 million Arab citizens equal rights to every Israeli and more rights than any Arab nation on earth. French has no choice but to admit strong gains in all human development indicators in Rwanda under Kagame's leadership but cannot suppress his ultimate dismissal of these as irrelevant. But let us recall that the Kagame's renaissance in Rwanda - evident to any visitor to the country - is mostly benefiting the majority Hutu population. Rwanda's rise from Armageddon - including its reduction of international aid to just 40 percent of their budget, as French himself acknowledges - speaks for itself and cannot be debunked even by one-sided commentators like French. Legitimate criticism of the Rwanda government is important and must be both aired and addressed. The US government is pressing President Kagame for greater press freedoms and greater political opposition. There are further troubling allegations of select opposition leaders and even journalists who have been murdered. Kagame's defenders argue that there is no evidence linking his government with these deaths. I raised these subjects with President Kagame on more than one occasion. I told him that as the only man alive to have stopped a genocide he is a hero to me and countless millions the world over. He must remain so and make morality and democracy the cornerstone of his policies amid the legitimate need to protect his people against so many that wish them harm. A man whose country has suffered indiscriminate slaughter has a special responsibility to uphold human rights and stop all abuse. But the US lecturing Kagame would no doubt carry more weight if Rwanda did not feel itself being subject to double standards, as the world's sole superpower pursues a policy of inaction in Syria, North Korea, and the Central African Republic where millions continue to die with barely an American objection. 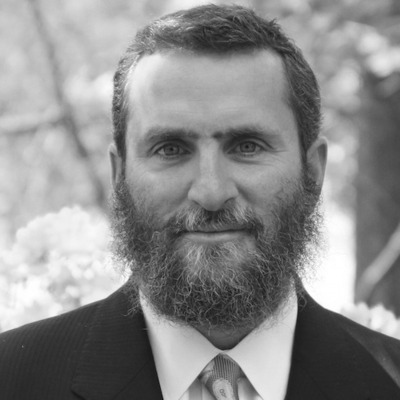 Rabbi Shmuley Boteach, whom Newsweek and The Washington Post calls "the most famous Rabbi in America," is the winner of The London Times Preacher of the Year Award and is the recipient of the American Jewish Press Association's Highest Award for Excellence in Commentary. The international best-selling author of 30 books, in May he will publish "Kosher Lust: Love is Not the Answer."